A different style of arrangement with a more grouped stem look. 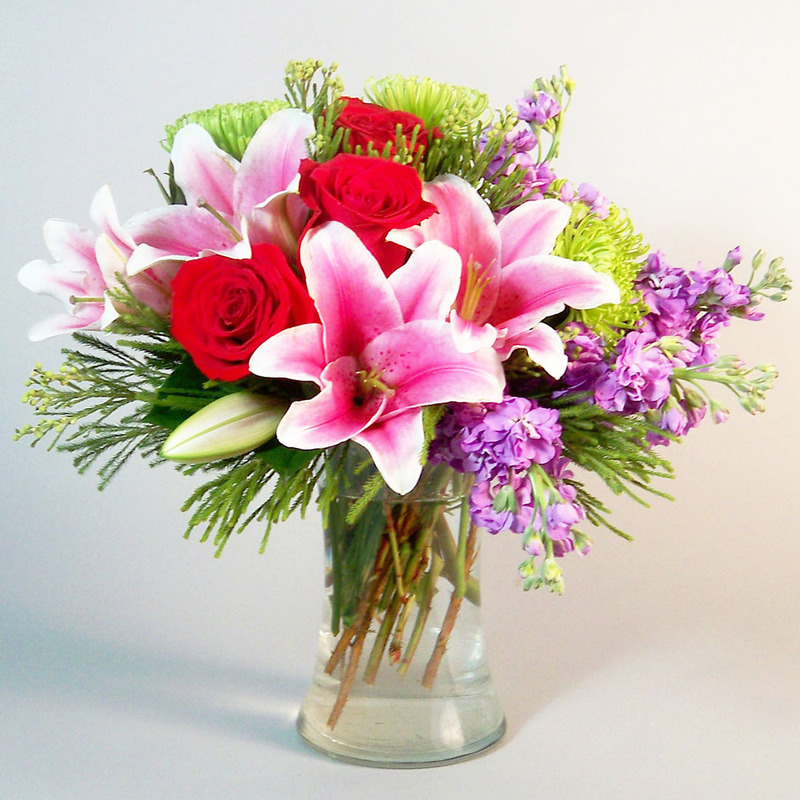 Fragrant sorbone lilies with red freedom roses together with green fuji mums and lavender stock in a gathering vase. Tons of visual fun from all sides. Just rotate the arrangement a quarter turn and wham o, a new arrangement. How fun is that. 15″ tall and 13″ wide. Premium- lets add another stem of lily which had 2 or 3 blooms on it and 2 more roses for a very full display.